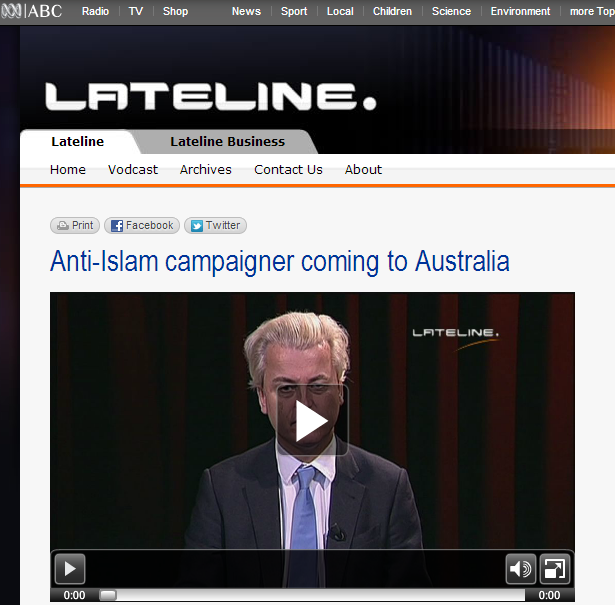 The Australian Broadcasting Corporation (ABC) is investigating data breach after Lateline interviewed Dutch anti-Islam politician Geert Wilders. A hacker going by the handle "Phr0zenMyst" has claimed to have hacked a web site associated with the ABC television program Making Australia Happy, leaking the details of its users online. The files contain the personal email addresses, locations and genders of almost 50,000 of registered users of ABC websites, including encrypted versions of their login passwords. The data was posted in 10 separate pastebin's which can be accessed online. There were some indications on social media sites that the attack was in retaliation for some of the ABC's recent editorial decisions. The hacker, believed to be associated with the online activist group Anonymous, wrote on Twitter, "ABC hacked for giving a platform to Geert Wilders to spread hatred #OpWilders - database leaked!" "This breach originated at an overseas location, and an activist has claimed responsibility for it. The ABC will be in contact with audience members who have been directly affected." ABC said.